Tis the season for holiday retail! This time of year, most clients are in giving moods! Why not capitalize on those moods with some great point-of-purchase items to offer them? Bring glamorous cultural styles to your retail area with the Flowery® Jet Setter File Catty Collection. 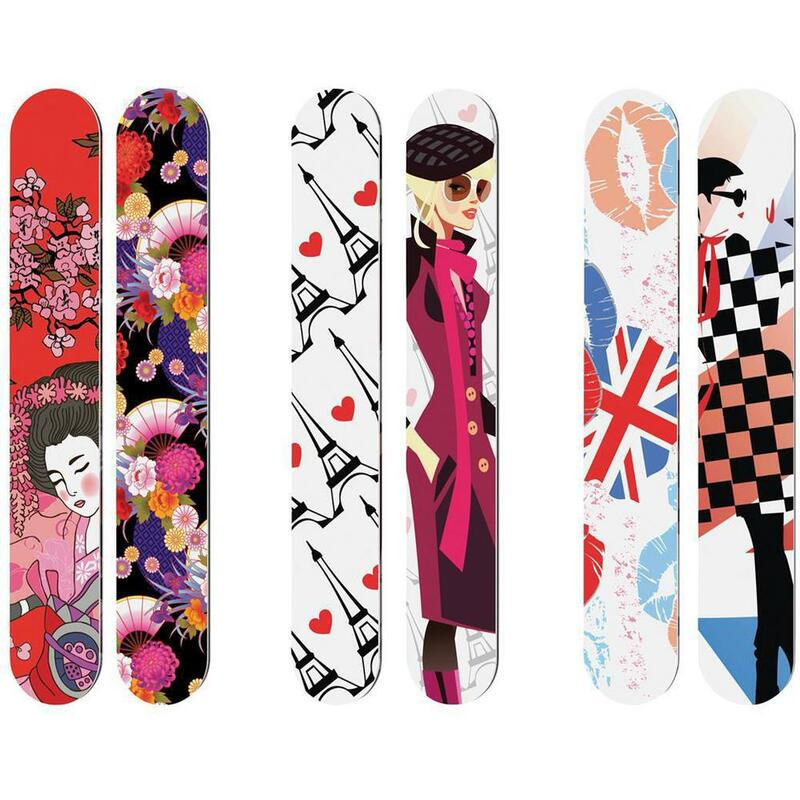 This display includes 5 of each of 3 custom nail file designs: London Calling, Parisian Chic, and Tokyo Dreams. Each file comes in a translucent case, which features a nail tip touch up, cuticle pusher, and under the nail clean sweep while also protecting the product from dirt and damage. All files are 5.5"" and feature 180/240 grit. 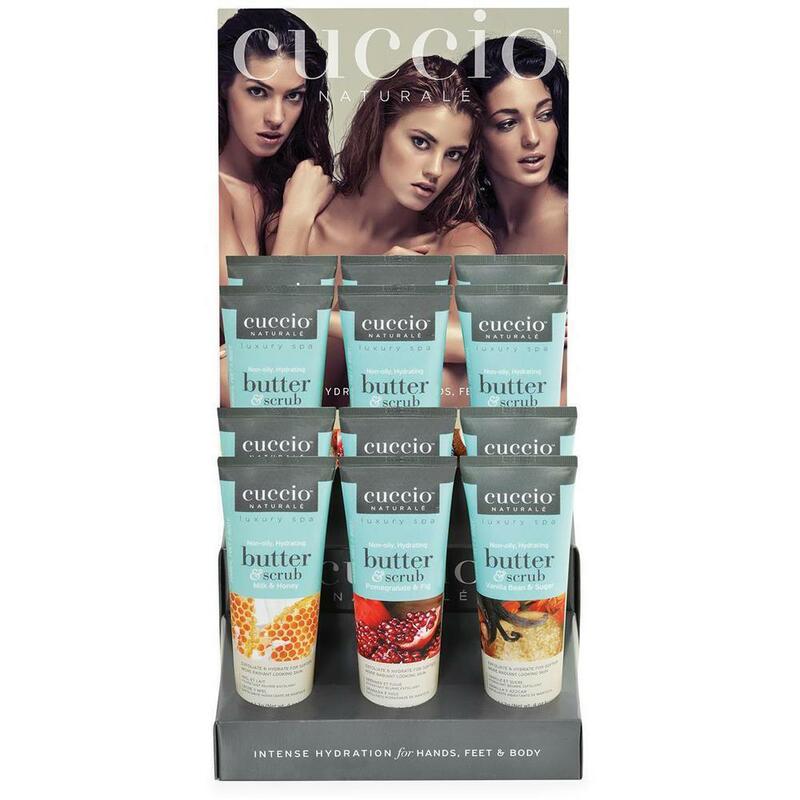 Draw attention to your Cuccio™ Naturale Butter Blends and Butter Scrubs, and make more sales with this attractive retail display. Contains 4 of each of the following 4 oz. Butter Blends and Butter Scrubs: Milk & Honey, Pomegranate & Fig, and Vanilla Bean & Sugar. Butter Blends rich non-oily 24-hour hydration with time-released emollients Butter Scrub is a luxurious creamy scrub with the final finish of Butter Blends. Both products provide intense hydration for extra soft, silky and radiant skin. Contains 3 scents - 2 of each scent of Butter Blends 4 oz. and Butter Scrubs 4 oz. Milk & Honey, Pomegranate & Fig, Vanilla Bean & Sugar. 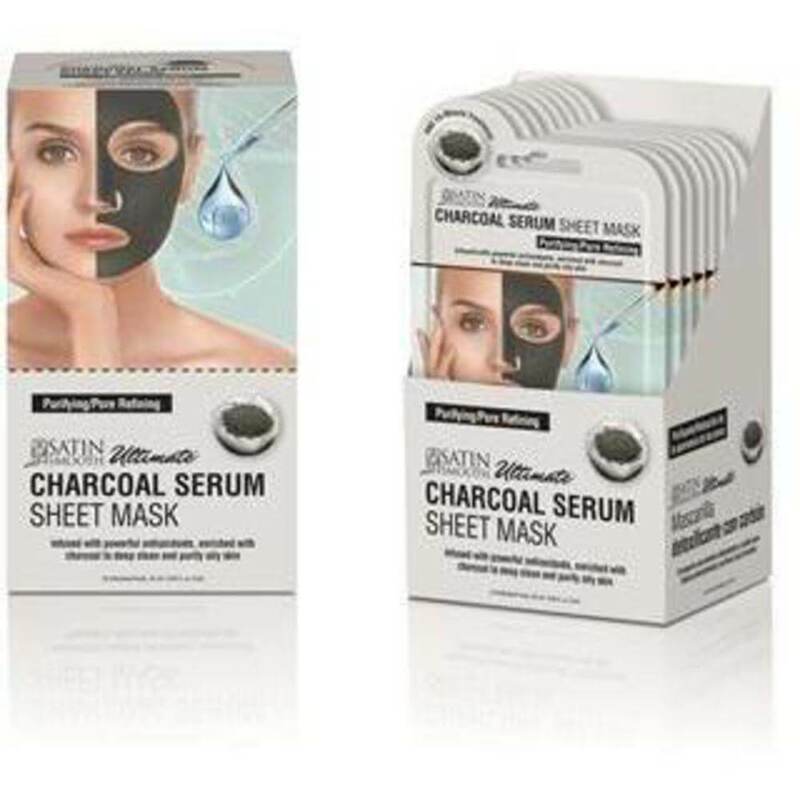 Luxury skincare innovator Satin Smooth® is proud to introduce the Ultimate Premium Quality Sheet Mask Collection with six customized, serum-drenched facial masks. 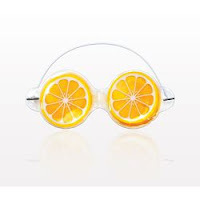 Display box contains 24 masks, each individually wrapped for single use. 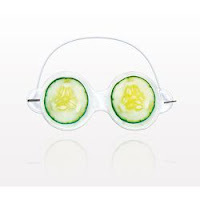 Great for salon, spa and home use. Dermatologist Tested. 15-minute treatment. 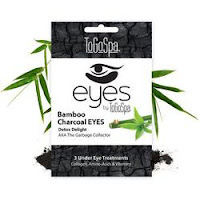 The Charcoal Mask is enriched with activated charcoal to help clean and purify oily skin. It also contains niacinamide and acai berry extract, which can aid in balancing skin tone and refining pores for softer, smoother-looking skin. 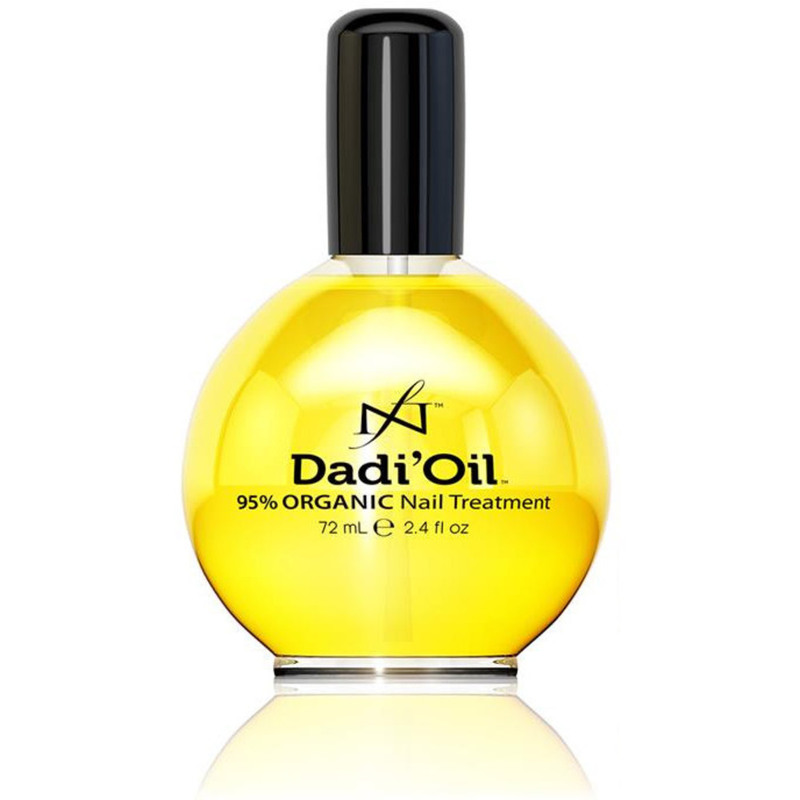 Deliver flexibility, toughness, and shine to the nail and rich moisture to the skin with Dadi Oil. Bio-similar certified organic oils blend together with natural vitamin E (from sunflower seeds!) to provide quick, non-greasy absorption for maximum performance. The delicate sweet aroma from a special blend of 21 essential oils. Available in 0.5 fl. oz., 2.4 fl. oz., 6 fl. oz., and 24 pack of 1/8 fl. oz. 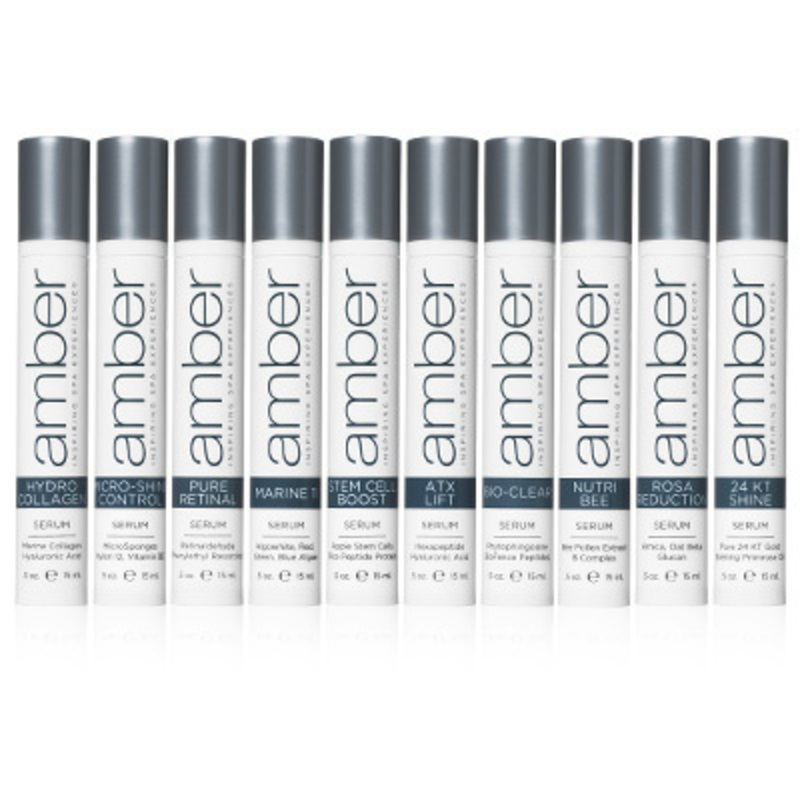 sizes - perfect for use in your salon, or to retail for your clients to bring this amazing product home! 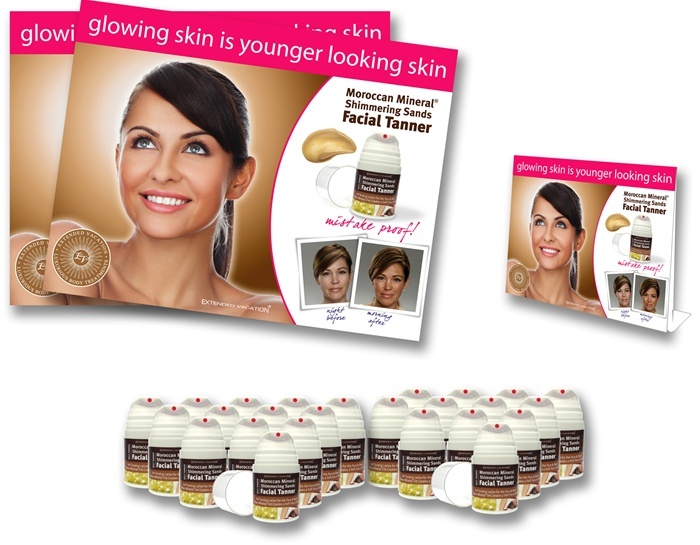 HOT Retail Item - Moor Spa Platinum Supreme Serum will FLY Off Your Shelves! Serum incorporates the renowned age-defying effects of 2 advanced peptides and alpha lipoic acid—all in 1 concentrated serum. For all skin types. CertClean certified. 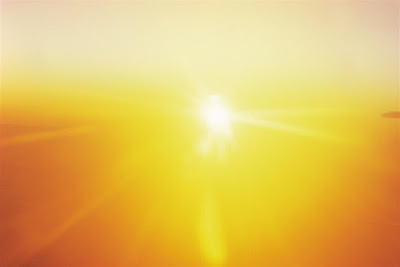 1 fl. oz. 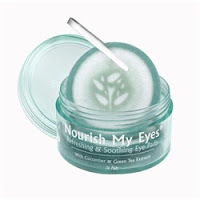 After cleansing and toning, apply serum evenly over whole facial area. Allow to absorb, then massage Moor Spa® Supreme Cream into the facial skin, paying particular attention to wrinkled areas. Palmitoyl Tripeptide-5: is a highly advanced, patented small peptide (consisting of three amino acids) that boosts the Tissue Growth Factor necessary to produce collagen - improving skin’s firmness & moisture level. 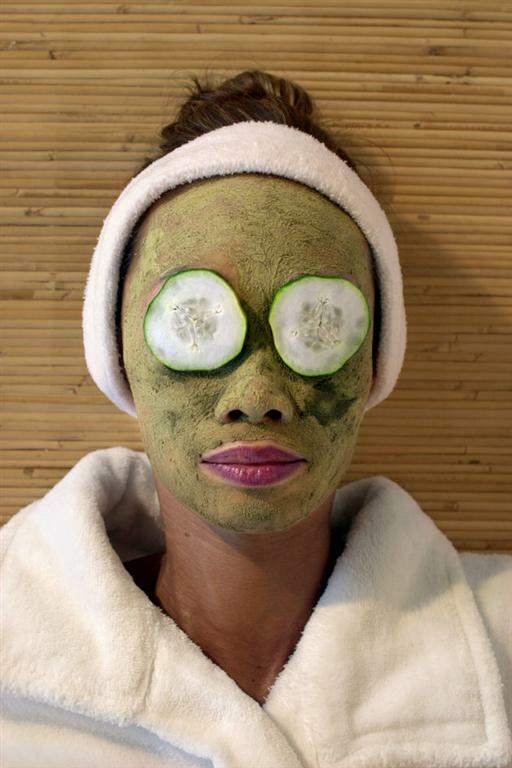 Lactic Acid: functions as a mild exfoliate. Horsetail extract: astringent and wound healing properties and is useful for improving circulation, as well as boosting and rejuvenating connective tissue. Looking for the perfect point-of-purchase item to add to your retail selection? 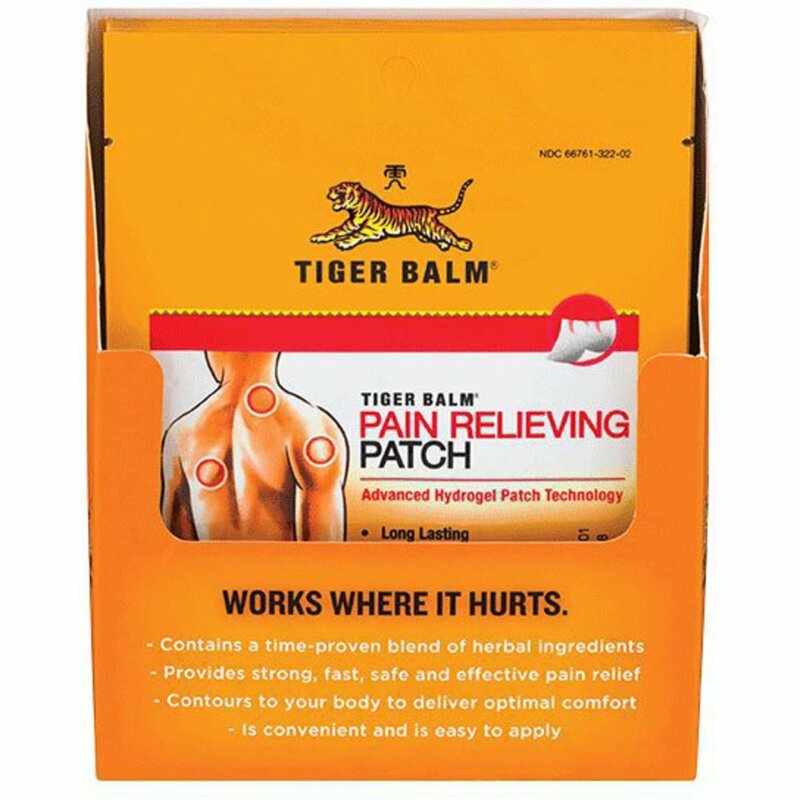 Pick up a Tiger Balm Pain Relieving Patch Display today, and impress your clients with your attention to their needs! Tiger Balm Patch is a flexible pain relieving patch. The product provides temporary pain relief and comfort for hours. It is not messy or greasy and will not stain your clothing. Its thin design can be comfortably worn unnoticed underneath clothing. 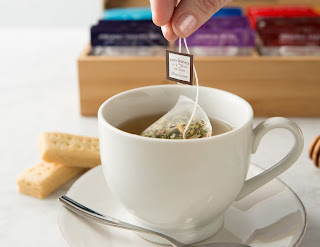 Now available in this single use trial size. 12 patches in each display unit. Keep Your Makeup Looking Fresh with the Model in a Bottle Makeup Setting Spray! Ever feel like after a few hours into the seemingly endless day, your makeup has already worn off or smudged? We've all been there - and so have your clients! With the Model in a Bottle Makeup Setting Spray, you can ensure your makeup lasts all day, no matter how long that day might be, and you can make your clients' day by retailing it to them, too! This must-have makeup setting spray is so simple and easy to use! When done with your daily makeup routine, allow your mascara to dry fully, close your eyes, and spray the setting spray two to four times. That's it! It is that simple! But what does this product really do? 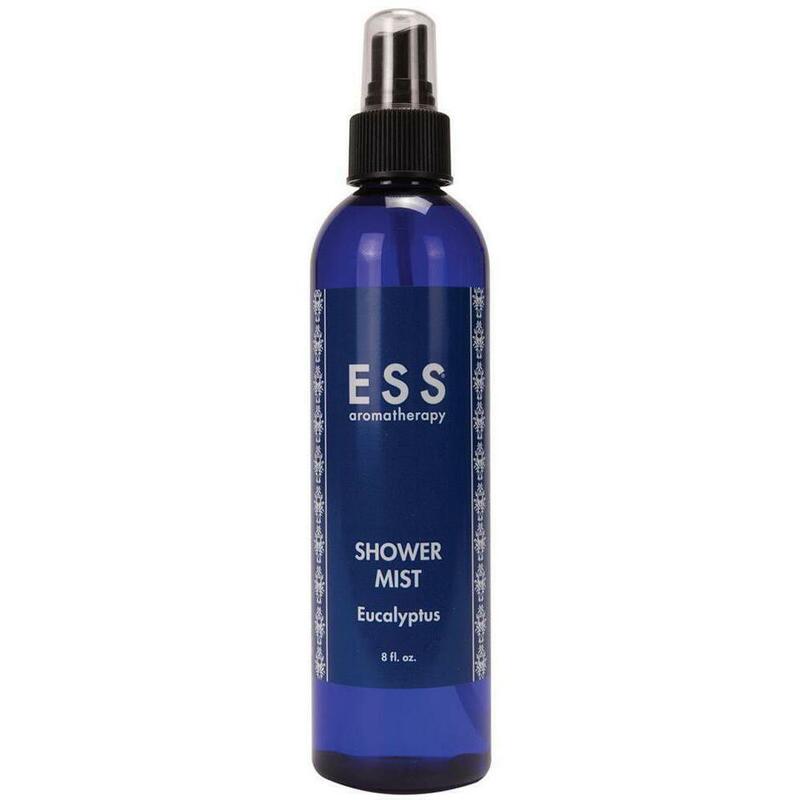 Not only does it dry with a translucent matte finish, but it absorbs excess oil, avoids clogging pores, and moisturizes skin with Aloe Vera extract. Don't worry because the makeup setting spray dries quickly and is never sticky. It also does not block the effectiveness of any SPF you may apply. 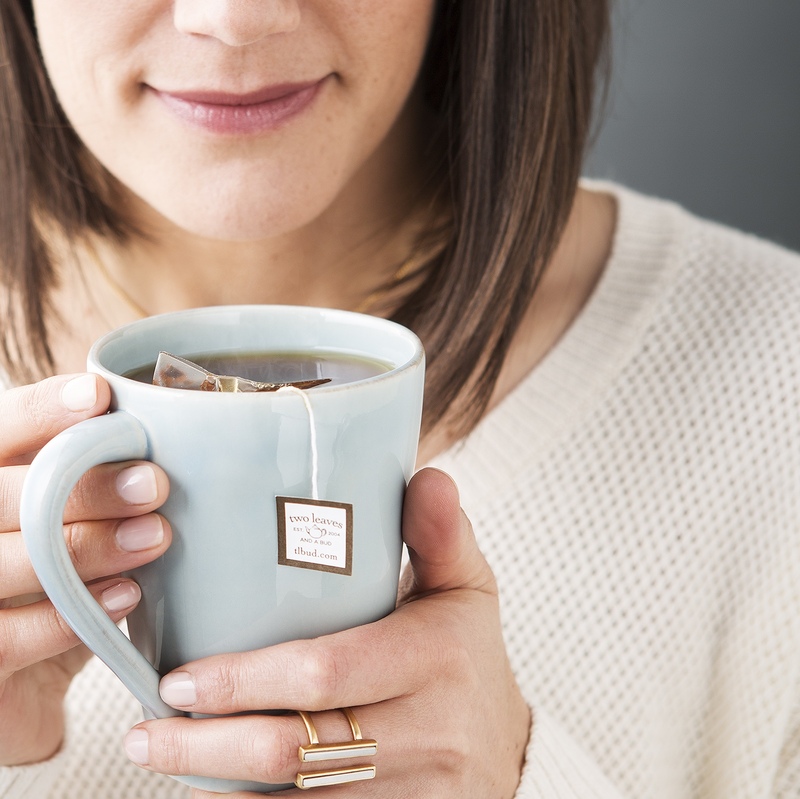 To top it all off, this perfect product leaves a fresh clean scent. Unlike many other products, the Model in a Bottle Makeup Setting Spray was not tested on animals and is proudly made in the United States! Squeezable Tubes make for an Easy and Convenient Package for Liquid Creations! 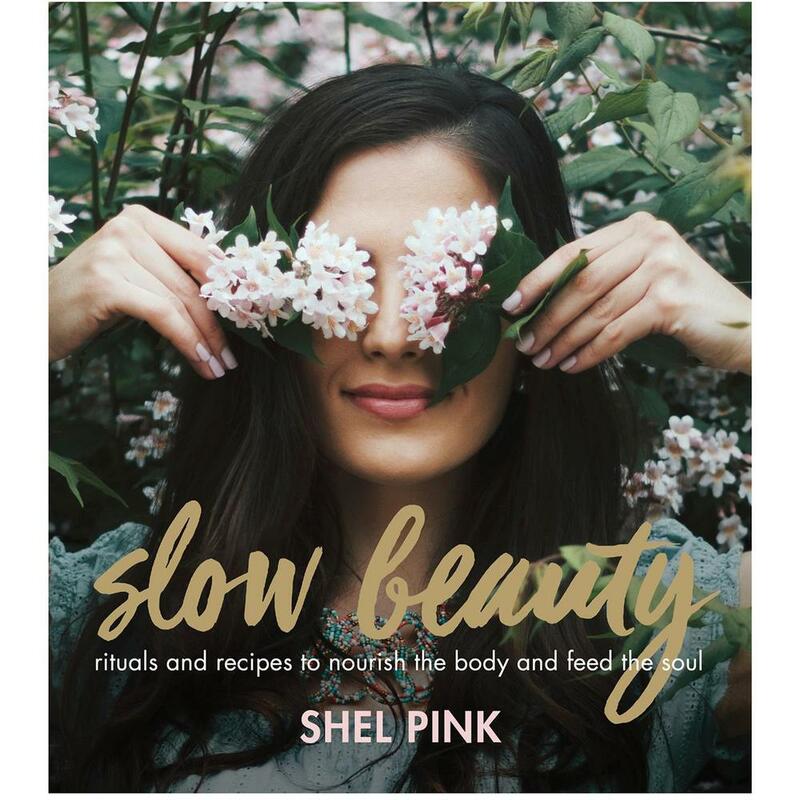 Calling all creative estheticians and cosmetologists! Just finished making your own lip gloss or other Pure Spa Direct now carries Dispensing Tubes with Slanted Reducer Tip! This 10 ml tube makes application extremely easy. 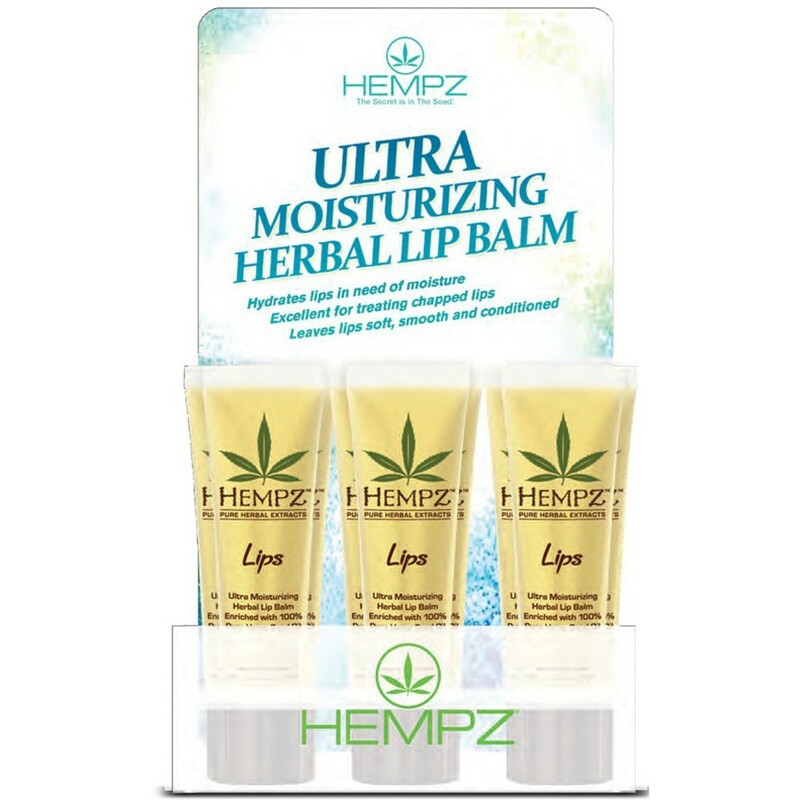 It is the perfect way to package your creations, whether they be original lip glosses, classic lip balms, or other fun liquid formulations. 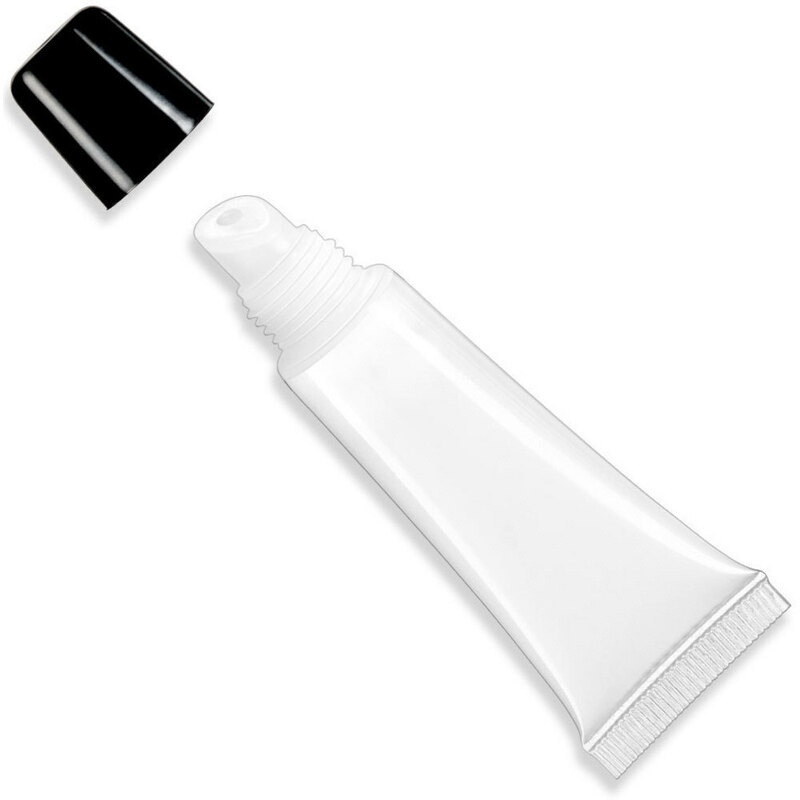 Since the tubes are so small, they are the perfect travel size and easy to use when on the go. This perfect product comes in three colors: natural dispensing tube with slanted reducer tip and black cap, natural dispensing tube with slanted reducer tip and natural cap, and white dispensing tube with slanted reducer tip and white cap. Each color comes with 200 tubes per pack! You've spent so much time perfecting your formula for your clients. Now perfect the packaging!